The team from the UK arrived in Kathmandu on 9th March. They had been concerned that their luggage weighed too much because much essential equipment was being carried. Fortunately with their personal luggage being light and the staff at Qatar and Yeti Airways being understanding, they arrived in Nepalgunj without incident. They were met by Puran Tharu, the senior Community Ear Assistant, at the BRINOS Ear Care Centre. There followed an extremely productive Ear Camp during which 123 people affected by chronic ear disease underwent major ear surgery. 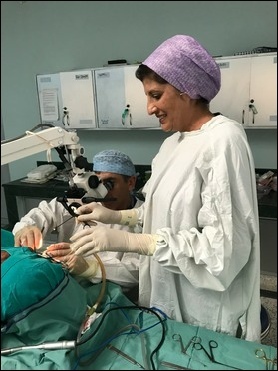 There were a mix of surgical procedures, including 24 more major operations for cholesteatoma, performed under general anaesthesia, expertly and safely administered by Dr Alastair McCrirrick. 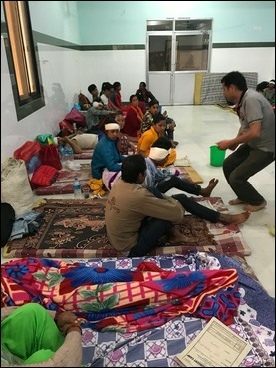 Many of the patients had experienced long and difficult journeys from hilly regions such as Rukum, Rolpa, Jagarkot and Surkhet, having been examined by the BRINOS Community Ear Assistants during outreach clinics. 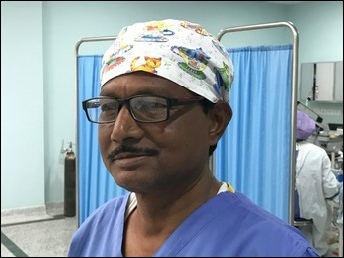 In addition to the surgery Catherine and Farizeh undertook quality of life research by interviewing patients with the help of Ram Bahadur, another of the Community Ear Assistants. This research emphasised the negative effects of ear disease and deafness on the lives of these people living in often poor and remote communities. 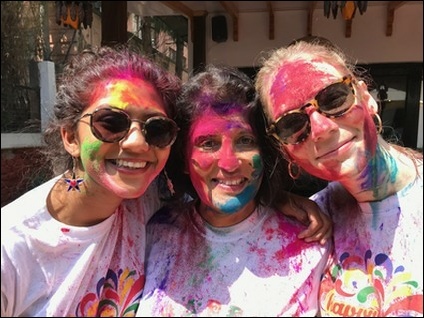 The team returned to Kathmandu where the Hindu Holi festival was taking place. This event involves the throwing of vivid coloured dyes and the team took part with gusto. After a suitable clean-up the team said their goodbyes to Nepal and returned back to the UK to resume work at their busy NHS jobs. 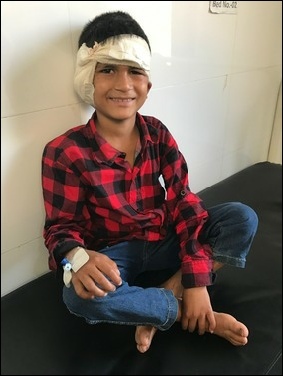 A 9 year old boy who had travelled two days from the hilly area of Rukum to reach the BRINOS Ear Care Centre and have life-saving surgery for cholesteatoma. @BRINOSOfficial and @BRINOSCharity, and why not “follow” them both?